This year, invest in yourself. True wellness means taking care of all aspects of your life – mind, body, soul. 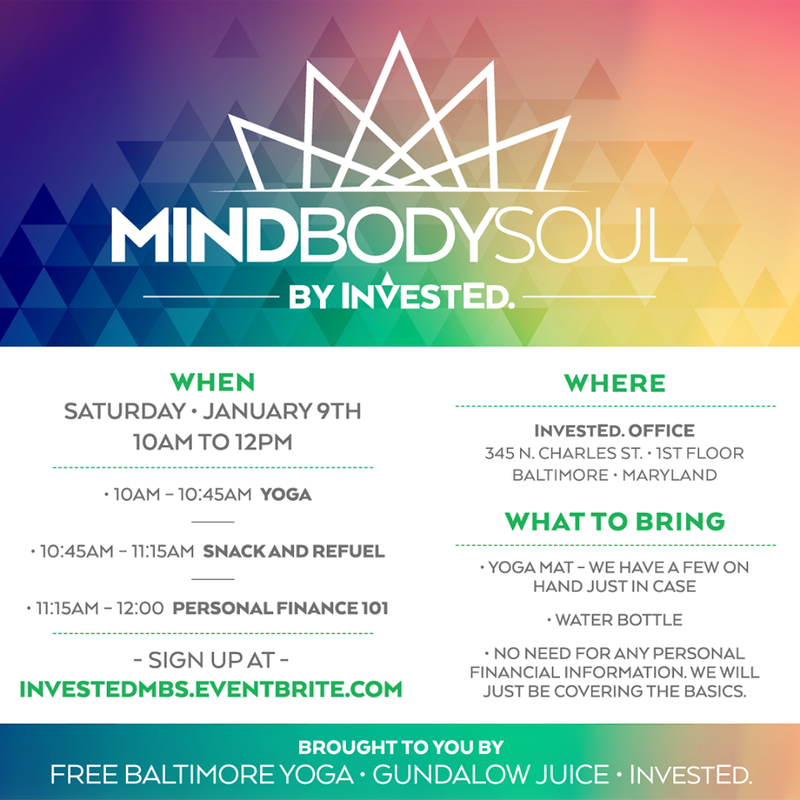 Join us for a wellness event to start your New Year strong. FREE Yoga with LA Finfinger of Free Baltimore Yoga. FREE Personal Finance 101 with InvestEd. FREE Cold-pressed Gundalow Juice and snacks from KIND Bars. Yoga mat – We have a few on hand just in case. No need for any personal finanical information. We will just be covering the basics.